Dance attire varies by instructor and by the different forms of dance. At registration, please request a copy of the dance attire requirements for your class. Dancers must be the minimum required age by August 1 of the session year. Pre-registration is required at the Park Office. Instructors will assist in class placement; please contact the Park Office for details. Classes meet at our new studio located at 524 East Jackson Street. Since class size is limited and your child will be taking a place in class upon registration, refunds will not be issued after class capacity is met or registration closes, whichever occurs first. Priority registration for returning dancers begins July 8 and open registration begins July 22. Registration deadline is August 10. Session I classes begin August 19. Classes meet for 12 weeks. Classes will not meet September 2 or October 14–18. All classes have limited enrollment; please register early to ensure availability. Priority registration for returning dancers begins November 4, 2019 and open registration begins November 18. Registration deadline is December 20. This exciting session prepares dancers for the Spring Concert on stage in May. In addition to class instruction, dancers will learn choreography and be involved in costume fittings for the performance. This process requires commitment from dancers for a 14- to 17-week session. A spring concert dance costume, chosen by instructors, will need to be purchased for this session, not to exceed $50. Session II begins the week of January 6, 2020 and goes through May 7. Monday classes will not meet January 20, February 17 or April 6; Wednesday classes will not meet April 1, 8; and Thursday classes will not meet April 2, 9. Monday classes meet for 14 weeks, Wednesday classes meet for 14 weeks and Thursday classes meet for 15 weeks. All class sizes have limited enrollment, so please register early to ensure availability. Class descriptions can be viewed below. Please view the full class schedule on page 11 of our current program guide here. This is a class for children who are age 3 by August 1, as well as younger 4-year-olds. Class will focus on creative dance movement, including learning to follow rhythm, mirroring technique and improvisation. A class for students ages 4 and 5. It will cover dance warmups, stretching and beginning technique for Jazz, Ballet and Modern. This class is great for children who are aspiring gymnasts, budding ballerinas or for those who simply love to move with music. 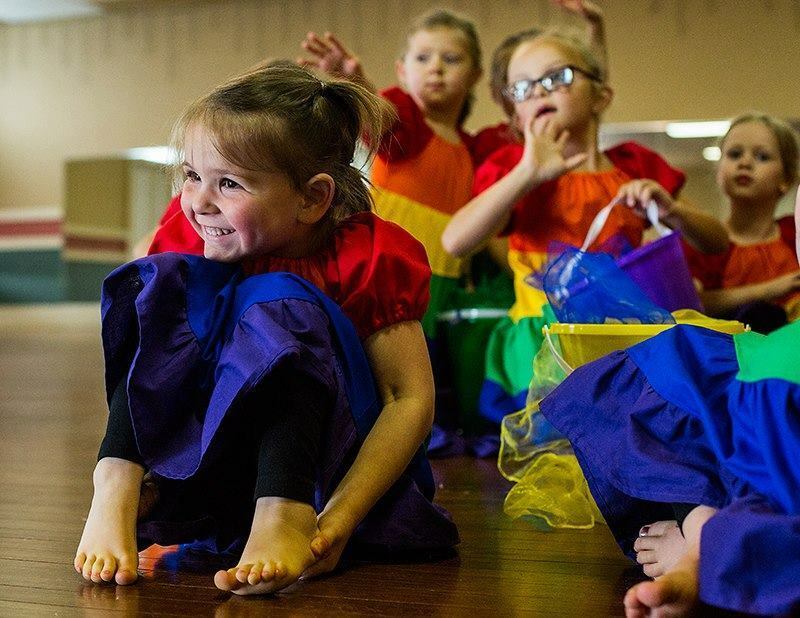 Students ages 5–7 will learn age-adjusted ballet and modern dance technique. Your child will learn proper body alignment and develop flexibility, coordination and grace. Your child will also experience applying their own movement thoughts to the art of improvisation. Classes will facilitate the joy of dance and appreciation for beauty, as well as build well-balanced, healthy respect and discipline. The difficulty level will increase with Beginning Modern II and Intermediate Modern. This class will contain the same elements as Modern/Ballet. Students will learn the vocabulary of modern and ballet with sensitivity to dancers’ needs. Class will evolve according to the progression of the participants. Please speak with instructor regarding enrollment. The perfect seven-week introduction to dance for new students, as well as a great refresher course for returning dancers! Register through June 3 at the Park Office. Classes will meet on Wednesdays, June 5–July 17 at our dance studio, 524 East Jackson Street. Classes are instructed by Tricia Blosser.